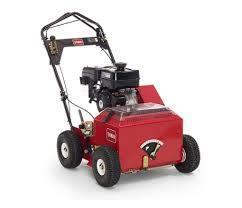 EASY TO USE - PNEUMATIC TIRES- HANDLES LIKE A SELF-PROPELLED PUSH MOWER. OPERATORS CAN MAKE TIGHT TURNS - EVEN ON HILLS. * Please call us for any questions on our slit seeder/overseeder self propelled rentals, in Oakdale MN, St. Paul, Woodbury, Maplewood and neighboring communities.